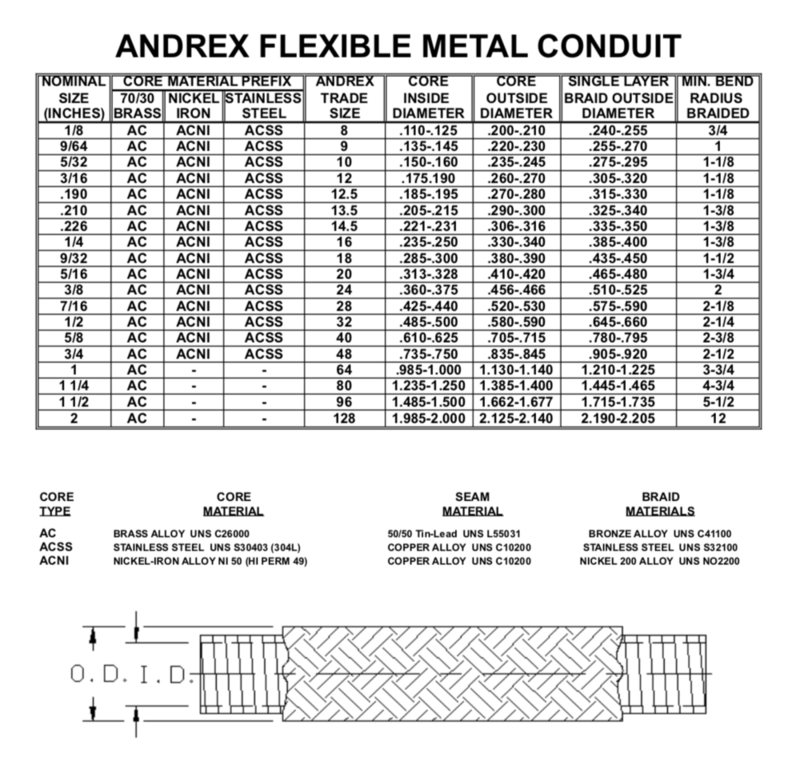 Flexible Metal Conduit — Andrex Inc.
You may download our spec sheets by clicking on the product name, but always contact us to insure you have the newest data. *Always check with us for any data that may have changed. All data sheets and product specifications are the property of Andrex Inc, a NJ Corporation. Copyright 2018 Andrex Inc.